Since 1991, Essi has been providing navigational aids, AtoN products, installation, service and routine maintenance to over 3,500 oil and gas structures in the Gulf of Mexico including those for Chevron, Freeport-McMoRan, Inc, Arena Energy and W&T Offshore. 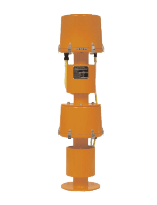 The navigational aids division manufactures and markets the market leading patented Faradic Wave Fog Signal. 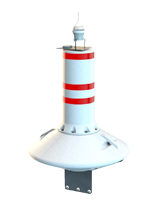 We also provide leading LED marine lanterns and Smart Buoys. All AtoN equipment is equipped with sophisticated electronics that track performance and location. 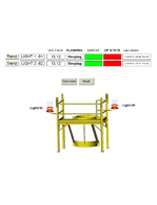 A web interface provides real-time location and performance information. 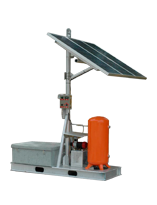 Have a unique need for navigational aids or AtoN equipment? Call us at (337) 837-3774 to discuss and design the ideal navigation solution for your specific application. Utilizing the superior Universal Acoustic Power Amplifier, Essi-patented FaradicWave omni-directional fog signals are durable, efficient and solid. With 0.5 to 2 nautical miles (audible equivalent) capacity, FaradicWave fog signals emit a 360-degree beam of sound in the horizontal plane. Using the latest in LED technology, our marine lanterns have an average life expectancy of ten years as compared to just over one month for incandescent lamps. 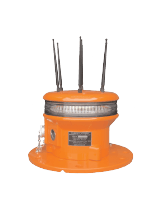 Coupled with durable aluminum housing, Essi lanterns are the marine industry’s trusted, low-maintenance solution.